Heat oil in a kadhai and temper mustard seeds. Add curry leaves and urad dal. Once it crackles, dried red chilies and sonth. Cook for few mins. Add chopped vegetables, cumin powder, asofoetida and little salt. Fry for 5 mins. Remove from the heat and allow to cool. 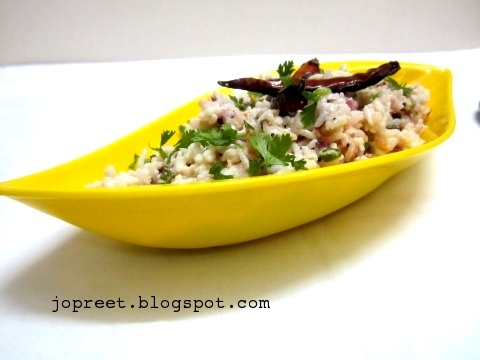 Mix curd, milk, green chilies and chopped coriander with the rice. Mix fried vegetables with the curd rice and add salt to taste. Mix everything and serve it chilled. Superb. It will be very tasty & also cool item ! Absolute super and the chilled version is yummy n tasty. 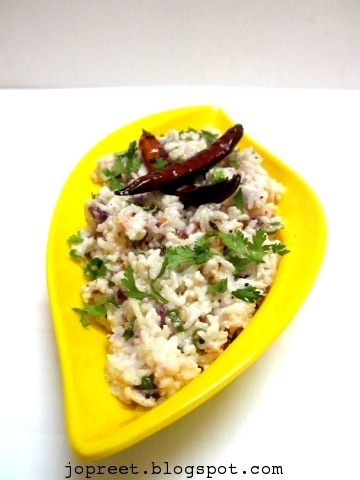 Curd rice with a twist !!!!! 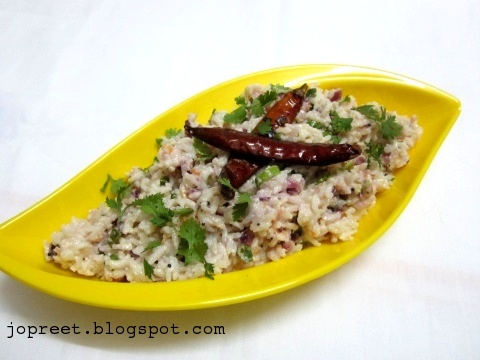 Nice variation of curd rice. Interesting curd rice. Cool, delish and nutritious. Healthy idea to add veggies to curd rice but I prefer warm curd rice instead of cold one but sure will try it next time..